I’m not sure when or where I learned to make pizza crust bites, but I’m so glad I did. These are definitely a family favorite, especially with the kids, and are incredibly easy to make. My daughter actually compares them to savory beignets. They’re light and fluffy on the inside and a crispy golden brown on the outside. 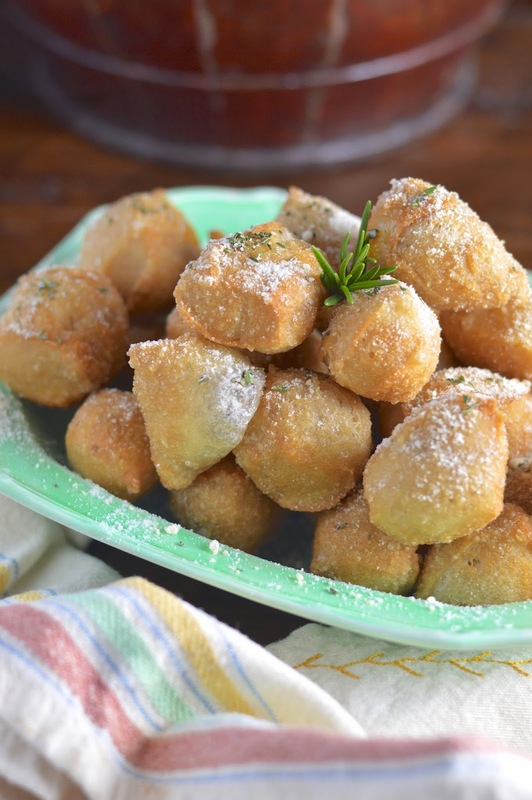 Pizza crust bites make an excellent appetizer, snack or side dish at dinner. 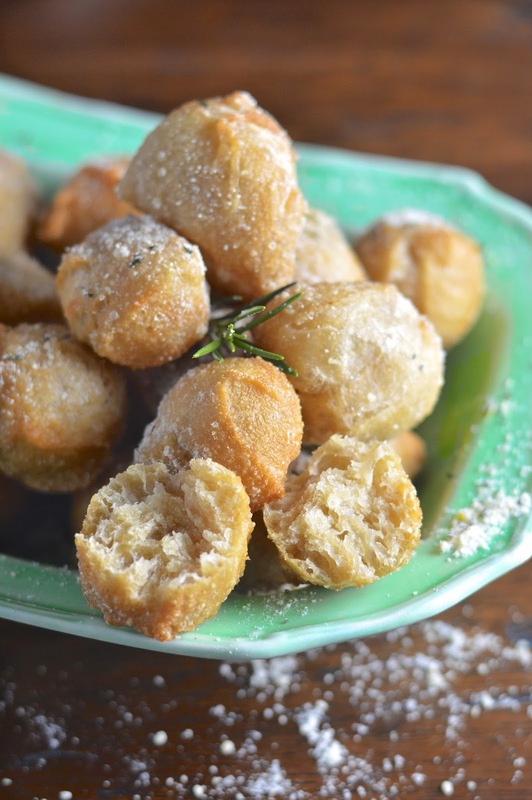 Toss them with any flavoring you like, including something sweet such as powdered sugar. The possibilities are endless. Bring dough to room temperature and lay out on a lightly floured surface. Using a large, sharp knife cut dough into 1 - inch - cubes. 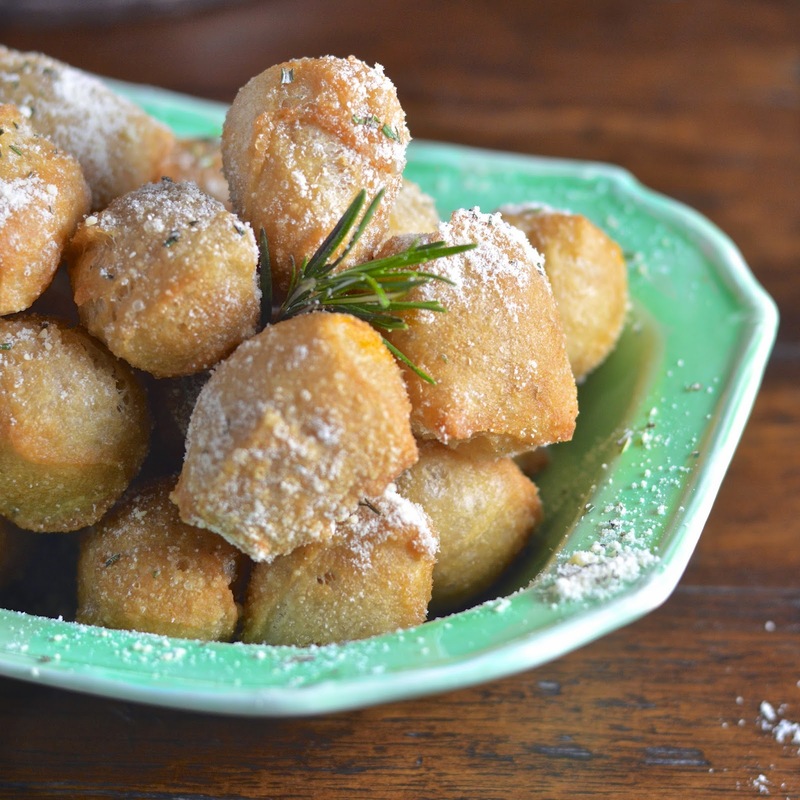 Heat oil in a deep fryer or cast iron skillet to 375 degrees F. Carefully drop dough cubes into the hot oil. Dough should take about 4 to 5 minutes to cook through and turn golden brown. Half way through cooking, flip cubes to brown on both sides (depending on the size of your skillet or deep fryer you may have to fry in two batches). Remove cubes from oil with a slotted spoon and place on a paper towel to drain. In a large bowl toss with rosemary, garlic salt and Parmesan (you can also just sprinkle Parmesan on the top when serving). Serve warm.